When people ask us why we started Cupolas n More, the simple answer is “I have no idea!” But we had been selling Amish Sheds built in Lancaster County for a number of years and thought that Amish Country Cupolas would be a great addition. Truth be told, we have been selling cupolas and weathervanes since 1996 and have many happy customer proudly displaying Cupolas. There is just something about a an Amish Country Cupola that adds a unique flavor to your house, horse barn, shed or garage. Nothing quite matches the grandeur of a cupola gracing the top of a building. So here we are, offering the widest selection of both vinyl and wood cupolas to people who want that special look to top it off. You can learn about the quality of our Amish Built Cupolas and the cupola construction that sets our cupolas apart. 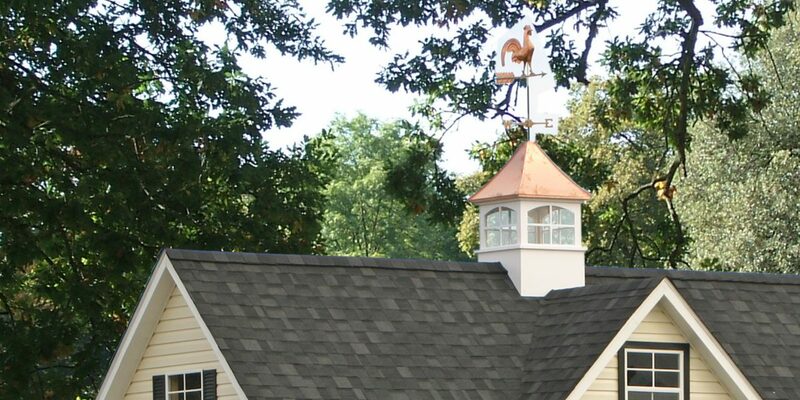 All cupolas are hand made with the highest quality in mind. We’d love to talk more or see your order come in through our online store. And don’t be afraid to call us if you have any questions! Our lead time is 2-4 weeks, and we ship throughout the United States, Canada and Europe. Please call for a shipping quote for Canadian and European orders. Larger bases for steeper roof pitches and other customization is available in most cases.